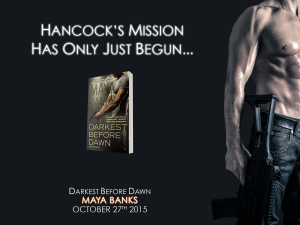 Maya Banks’ bestselling KGI series returns this October 27th with Darkest Before Dawn! 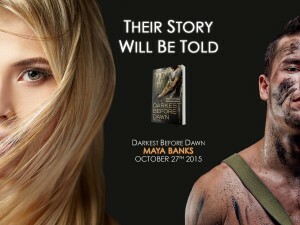 Maya Banks’ “Darkest Before Dawn” Available October 27th! Sacrifice. Honor. Allegiance. Hancock’s story arrives October 27th in Maya Banks’ 10th KGI novel, Darkest Before Dawn. Football season is almost here! 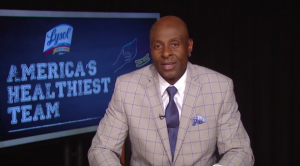 Check out a great interview with football legend Jerry Rice from last week’s Interactive Media Tour with Bleacher Report!